Have a listen to No Filter‘s Christmas 2017 on CHUO 89.1 FM. Lots of great tunes to get into the holiday season! 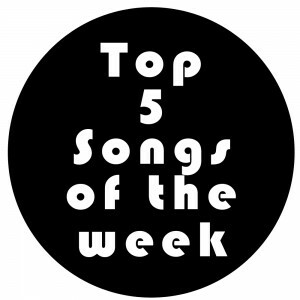 This is the last Top 5 Songs of the week for 2017! This week at #1 for the second week is U.S. Girls with Velvet For Sale. The single is taken from the upcoming album In A Poem Unlimited out February 16, 2018. #21 goes to Carly Rae Jepsen. Cut to the Feeling is taken from the soundtrack animated film Ballerina (Europe) / Leap! (USA) which came out on May 26, 2017. #22 goes to Fake Palms. Picked this track which didn’t come out as the leading single nor a music video. Because it is one of my favorite tracks on the album that is a mix of electro-punk noise and guitar jangle rock song! I also love the song title too! Yr Such a Nag is taken from Pure Mind came out on September 15, 2017. #23 goes to U.S. Girls. Mad as Hell came out on October 5, 2017. #24 goes to Century Egg. Ki Swui Kya came out on July 11, 2017. #25 goes to Weaves feat. Tanya Tagaq. Scream is taken from their album Wide Open which came out on October 6, 2017.